I am very proud to be one of the owners and partners at Breckenridge Associates Real Estate, the leading real estate brokerage in Breckenridge, Colorado. The company was formed by a collection of the most experienced long time local Breckenridge brokers who decided to create a boutique high end service brokerage with big national and international ties. An "A" Team of local top performers who have direct control over their company. We bought our building, one of the most prominent and best located buildings on Main Street Breckenridge with private parking for our clients. An established presence, exposure and convenience we feel are important to our clients. Now the company is made up of 17 partners all carefully selected, who have an excellent reputation, proven local real estate track record of sales performance, an entrepreneurial spirit, and a willingness to think outside to box. A Breckenridge Associates partner is someone who embraces technology and change and a fast moving business environment while not sacrificing the chore values that are expected of a Realtor and real estate broker. Each partner is financially vested in the company and is a full time professional. To stay a partner in this company, the partner has to be successful! We do not have part-time ski instructor sales people here. Our office is open 363 days per year, staffed by 3 full time highly trained front desk staff, with the best real estate industry software systems available. We vowed that unlike many local real estate offices, we would have our office open on the weekends with staff onsite. We do not close or have a remote answering service that is located in another state deal with a Buyer or their broker when trying to obtain information on one of our clients properties. Weekends are when Buyers look at properties, why would you be shut or only open for a few hours?? Our IT company constantly compliments us on being so far ahead of the competition with regards to the real estate information, coordination systems, cloud infrastructure and network integrated systems and security. However, our motto,"World Class Service, Hometown Team." means a lot to us. 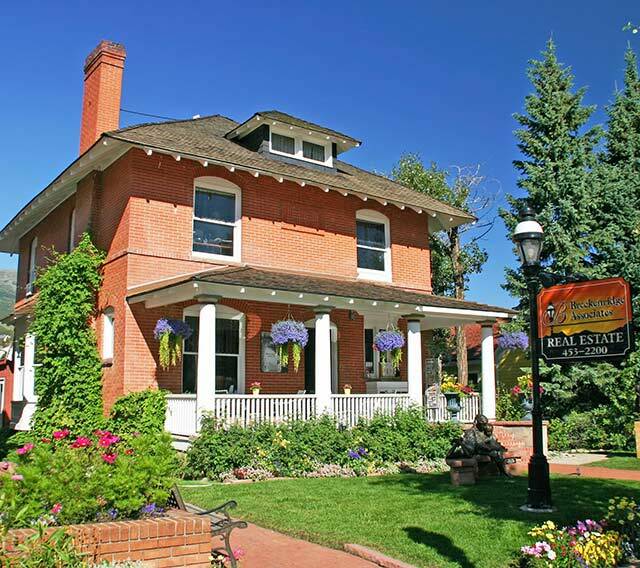 We have all lived in Breckenridge or Summit County for many years, some of us born here. We are true locals and are a wealth of information to help you. Over 70% of our business comes from referrals. We treasure that reputation and trust. Once you buy your dream mountain getaway or retreat through on of the partners you have a friend here locally who will help you forever when you are here or not here. That's what we want! So you can see, I am very proud of my company and I would love to earn your trust to help you and your family, partner and friends buy your dream home or condo that will create many a happy memory, or help you sell so you can move on to the next adventure in your life.